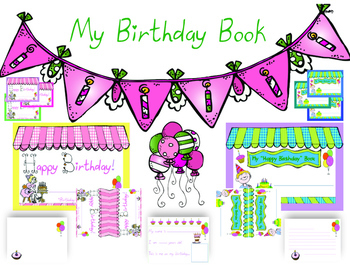 Since I do have the classroom kit, which TpT resources would you recommend to supplement it? 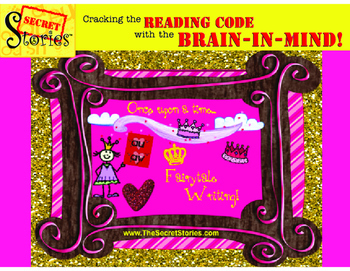 I am about to purchase the Guided Reader books available here, as well as "Sneaky Y's Secret!" Are there any others supplements that I might like to consider? Ideally, I'd love to see all supplements listed in one place—here or on your website/blog—so that I don't replicate parts of the full kit, but can purchase all of the additions to it. 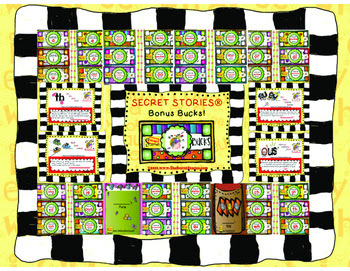 First and foremost, it's important to know that everything needed to successfully implement the Secret Stories® IS included in the classroom kits— the book, all of the posters and the musical practice CD, and that the complete classroom kits are only sold in hard copy format on the Secret Stories® website. And if you're wondering what the difference between the three different kits— Original, Fun & Funky and Space Savers— it's simply the look and size of the posters. 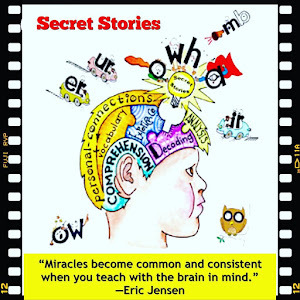 There are also some hard copy supplements that teachers who use and love the Secret Stories® often get, which are the Dual-Use Placards (for hands-on manipulative use anywhere in the classroom) and the Porta-Pics (for portable use both at home as well as in the classroom). 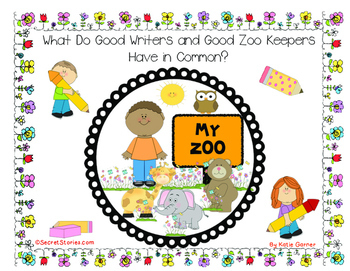 The only other important point here that I would like to make is that if you are a primary grade teacher (preK-2), go for the larger posters (as opposed to the space-savers) as your kids will be using referencing them constantly, and from everywhere in the classroom! For this reason, easy visual access is a must! 2. 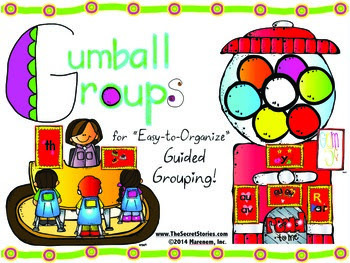 A vertical and/or horizontal classroom alphabet with "sound-accurate" picture cues for every possible sound a letter can make when it's by itself! 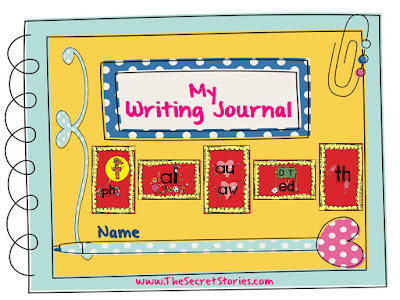 Also included are duplicate poster cards for the Superhero Vowels®, Sneaky Y® and the QU secret! All too often when I visit classrooms, I see alphabet trains (or whatever you want to call the above-board alphabet display) that contain picture sound cues that are either completely inaccurate or that identify the least most-likely sound option (i.e. an orange or an oyster for the letter o, a xylophone for the letter x, etc...) The following products were created to solve this problem, as well as a couple of others! 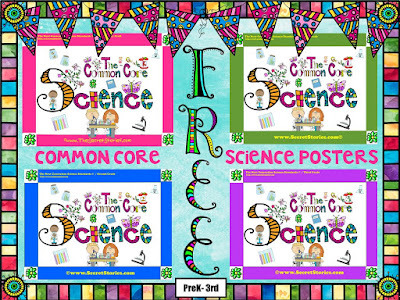 Additionally, all of the Common Core Poster Sets (including the FREE Literacy Posters for PreK-3rd!) 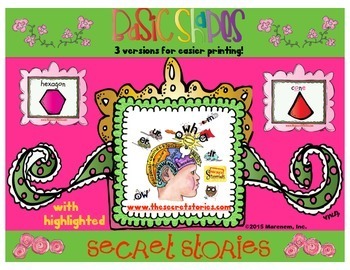 also contain Secret Stories® graphic references, where applicable, and the Science Sets are FREE, so be sure to check those out, as well! 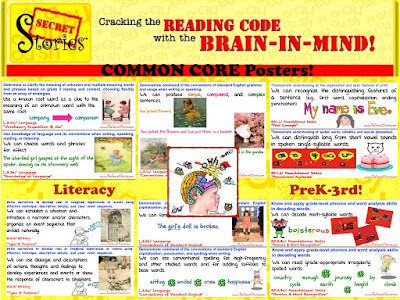 FREE Literacy Posters for PK-3rd! 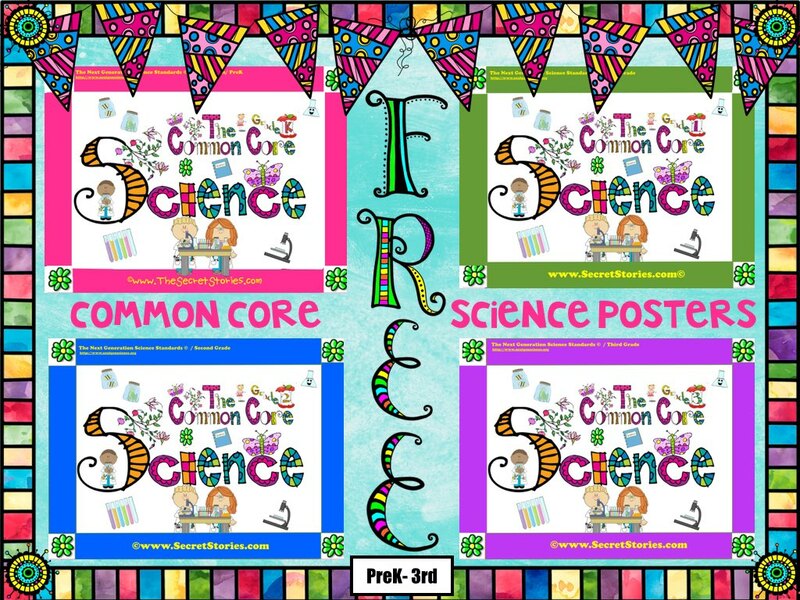 Social Studies Poster Sets are also available, as well as made-to-match "Literacy & Math Combo Sets" and "Essential Questions" sets, all of which may be accessed, by grade level, here. More Freebie "Odds & Ends"
The Bag Ladies "Projects in the Round" FREEBIE! ......Plus lots, LOTS more not listed here! 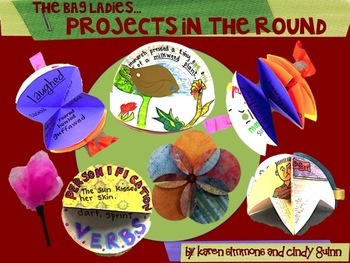 Just click the "follow" button on TpT while you're there, and be sure to subscribe here to ensure that you are first to be notified of all upcoming Secret freebies! 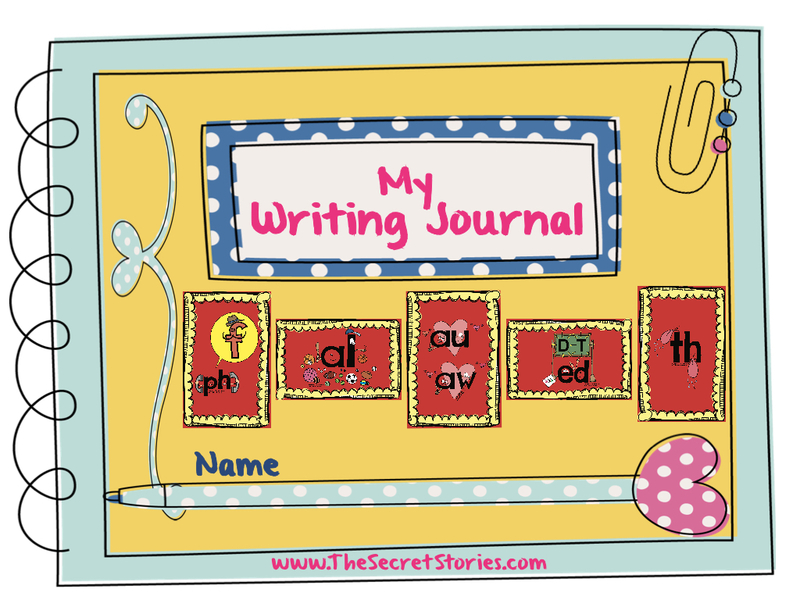 I hope this helps to clarify the differences between the actual Secret Stories® Classroom Kits and the digital supplements that are offered on TpT! 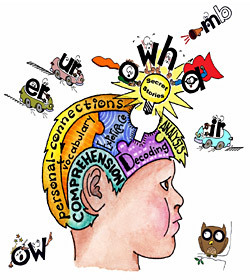 The "Head-Bop" Trick for Fickle Vowels!